The FTD® Rose Charm™ Bouquet is the perfect bridal gift on the wedding day. 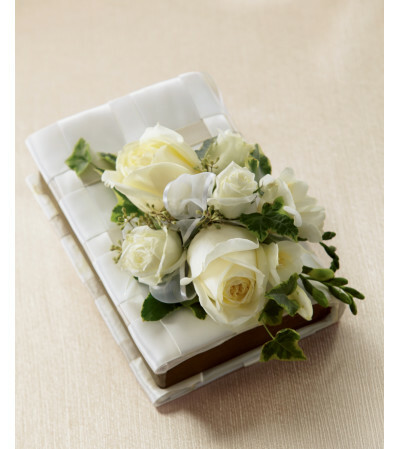 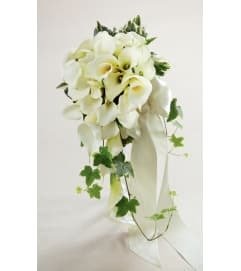 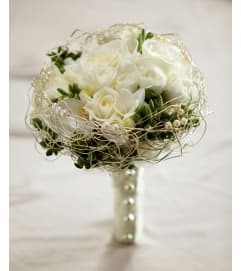 An incredible bouquet of white roses, freesia, spray roses and lush greens are elegantly arranged on top of a bible accented with a basket weave pattern of white satin ribbon. 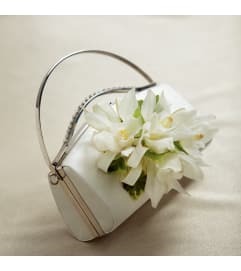 A gift they will always hold dear.